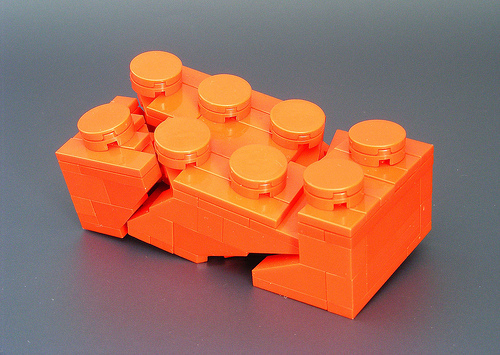 There are many large-scale Lego bricks out there, but this one, by Cole Blaq, is the first broken one that I’ve come across. It must be a clone brand…no one would destroy actual Lego, right? Right! ?